Turkey yesterday lashed out at “unacceptable” and “impertinent” comments by the French foreign minister who accused President Recep Tayyip Erdogan of playing a “political game” over the murder of Jamal Khashoggi. 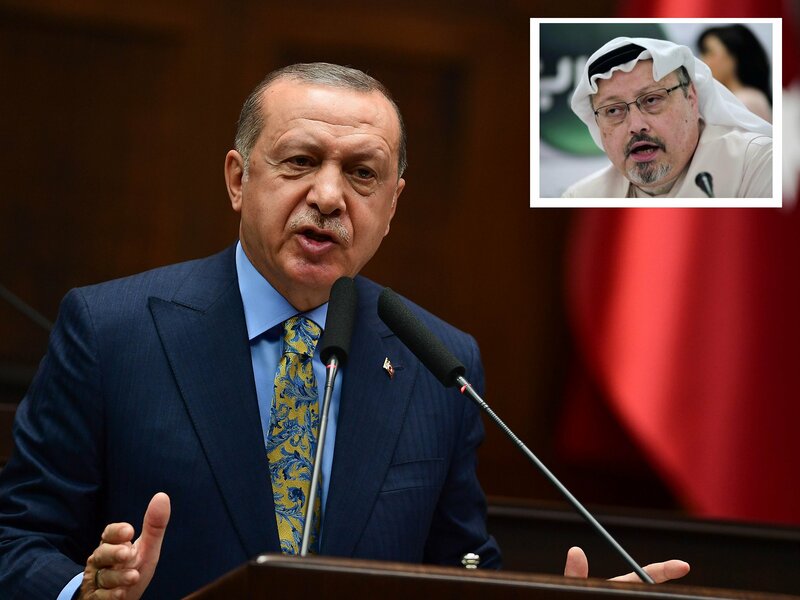 Erdogan said at the weekend that Turkey had shared recordings linked to the Saudi journalist’s murder last month with Riyadh, the United States, France, Britain and other allies, without giving details of the tapes’ specific content. His comments provoked fury in Ankara. “We find it unacceptable that he accused President Erdogan of ‘playing political games’,” the communications director at the Turkish presidency, Fahrettin Altun, told AFP in a written statement. “Let us not forget that this case would have been already covered up had it not been for Turkey’s determined efforts.” Turkish Foreign Minister Mevlut Cavusoglu responded even more sharply, saying that his French counterpart’s accusations amounted to “impertinence”. Khashoggi, a Washington Post contributor and critic of the Saudi government, was last seen entering the consulate on October 2 to obtain documents for his forthcoming marriage to a Turkish woman. Turkey’s chief prosecutor has said he was strangled and then dismembered as part of a premeditated plan. There have been claims that his body was dissolved in acid. Meanwhile, Canadian Prime Minister Justin Trudeau said Monday of the recordings: “Canada has been fully briefed up on what Turkey had to share.” He had had brief exchanges with Erdogan over the weekend in Paris, he added. World leaders attended commemorations marking the 100th anniversary of the end of World War I Sunday. “I thanked him for his strength in responding to the Khashoggi situation.” Asked if he had heard the recording himself, he said: “I have not.” Trudeau was speaking from Paris, where he was attending a peace forum hosted by French President Emmanuel Macron. German Chancellor Angela Merkel’s spokesman Steffen Seibert told reporters: “I can tell you that there was an exchange between secret services on this point,” he told reporters, but declined to elaborate.